This is a fantastic and fun Kids Cartoon World Map that is just perfect for children aged 5 upwards. 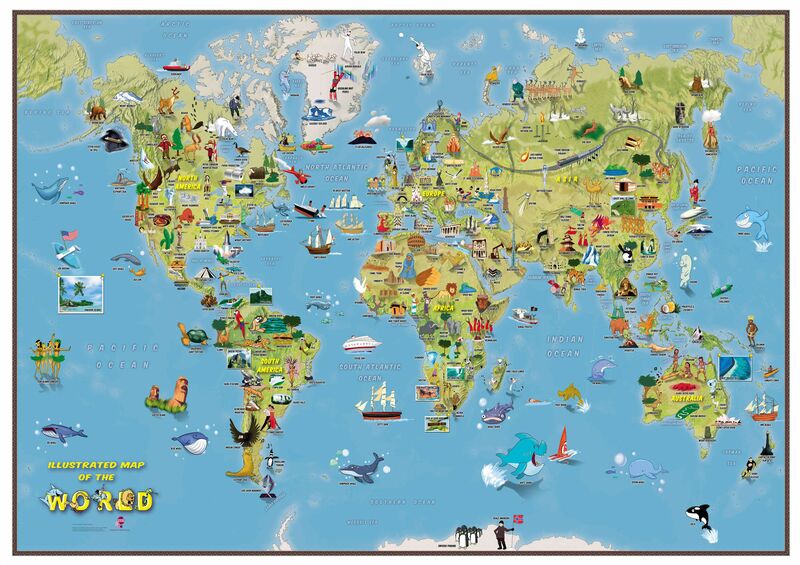 The detailed illustrations show people and local culture, animals and marine life, famous natural features and man-made landmarks plus a range of other fun illustrations. 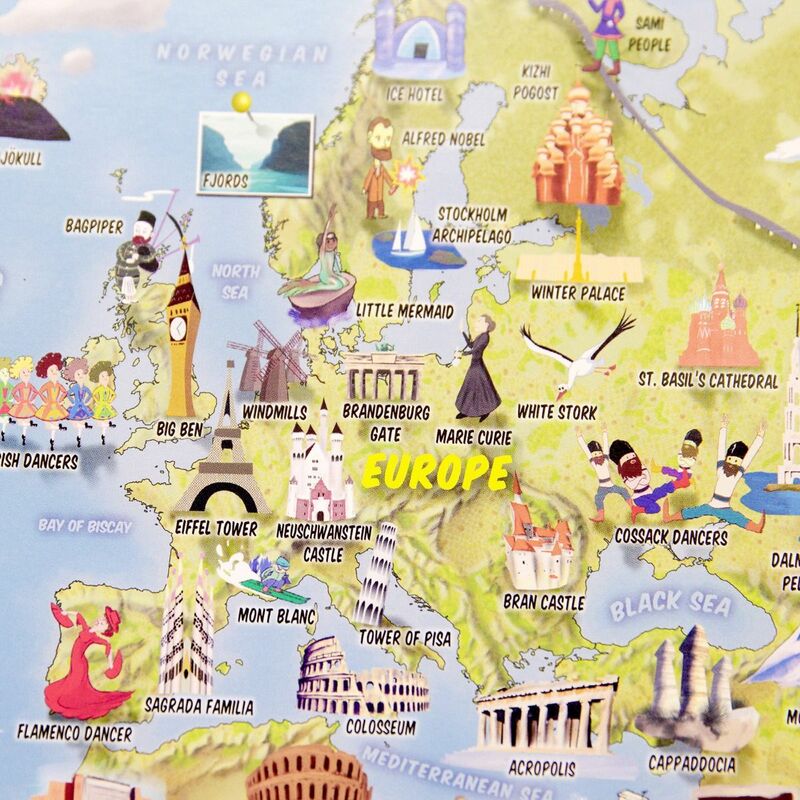 Map Detail: There is a range of activity to enjoy on this Cartoon Map. 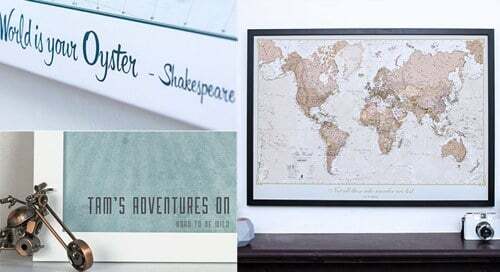 Find the Polar Bears playing catch or the Aborigines dancing to the didgeridoo, plus learn where the Victoria Falls or Mount Everest are in the world. 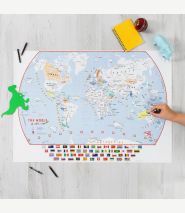 The World Map itself shows the Continents, Sea and Ocean names and also shows hill and sea shading. 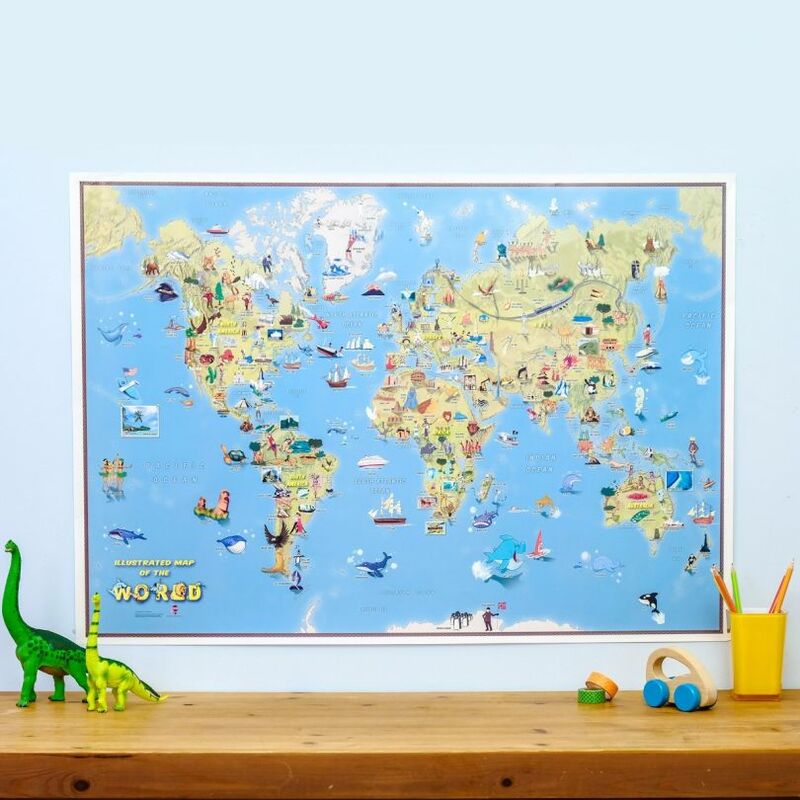 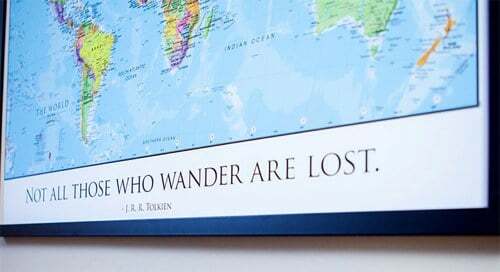 Map uses: Suitable for children or young adults.